CAT 2018 notification has been published, and shortly thereafter IIM Ahmedabad has announced the admission criteria for PGP 2019-21 batch. 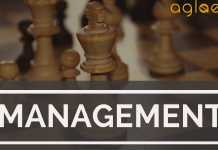 As per the IIM Ahmedabad (IIMA) admission criteria for PGP 2019-21, there are 2 steps of admission. This includes (1) Writing Test (AWT) and Personal Interview (PI), (2) Final Selection. Latest: Official Information regarding IIM Ahmedabad (IIMA) Selection Criteria for PGP 2019-21 batch has been released. Candidates can check the relevent information from below. The selection of candidates for admission to the 2019-21 batch of the PGP at IIM Ahmedabad is a three-step process. In the first step, candidates undergo a preliminary screening on basis of their CAT 2018 score, class 10 marks, class 12 marks, marks in Bachelor’s programme. After that IIMA will short-list candidates for Academic Writing Test (AWT) and Personal Interview (PI) from among the candidates who have a valid CAT score, who have applied for the programme and who satisfy the eligibility criteria for the programme. In CAT-2018 there will be three sections, viz., ‘Quantitative Aptitude’ (QA), ‘Data Interpretation & Logical Reasoning’ (DILR) and ‘Verbal and Reading Comprehension’ (VRC). Only the candidates above the following minimum cut-offs in the sectional percentile ranks, the overall percentile rank and obtaining a positive (greater than zero) raw score in all sections of CAT-2018 will be considered for all the subsequent stages. Table 1: Minimum CAT-2018 Percentile Rank – CAT Cut Off for IIM Ahmedabad. Note: Scheduled Castes (SC), Scheduled Tribes (ST), Non-creamy Other Backward Castes (NC-OBC), Persons with disabilities (PWD). At different stages of the selection process ‘Application Rating’ (AR) score of an applicant will be used. An applicant’s AR score is the sum of the rating scores ‘A’, ‘B’ and ‘C’ (Tables 2) based on their percentage of marks obtained in the 10th standard, the 12th standard (depending upon the stream, viz., ‘Science’, ‘Commerce’ and ‘Arts & Humanities’) and the bachelor’s degree programme (depending upon the discipline) respectively. For different streams/disciplines, the equivalent ARs are arrived at by using a (sort of) percentile equivalence of the score distributions using previous year’s CAT data. For details of academic disciplines, we refer to Annexure 1. Table 2: Application Rating (AR) for 10th Std. Rating Scores A. Percentages of marks of an applicant who is yet to complete the bachelor’s degree will be computed based on their available marks. For a candidate having cleared CA/ICWA/CS without having a bachelor’s degree, the average of inter and final examinations’ percentages of marks obtained would be treated as their available marks. For computing the AR score of an applicant, scores in all subjects that appear in their marks-sheet of 10th and 12th Std. examinations will be considered irrespective of whether the board considers them for calculating the percentage. For the bachelor’s degree, the percentage of marks awarded by the candidate’s institution/university will be treated as final. If the institution/university does not award the percentage of marks, it will be calculated on the basis of the marks obtained in all the subjects listed in the marks-sheet. For the bachelor’s degree, if the percentage of marks awarded by the candidate’s institution/university does not take into account marks obtained in all the subjects as mentioned in the marks-sheet(s) for all the years, the candidates must produce a certificate from the principal/head of the department/registrar/director of the institution/university certifying details of the practice at the institution/university at the time of the interview, if shortlisted for the same. If any board/institution/university awards only letter grades without providing an equivalent percentage of marks on the grade sheet, the candidate should obtain a certificate from the board/institution/university specifying the equivalent marks which should be used for filling the online CAT application form. The original equivalence certificate needs to be submitted at the time of the interview if shortlisted for the same. For candidates having undergone/completed an integrated master’s degree or dual degree directly after their 12th/HSC, the percentage of marks obtained as per their institute/university norms which are considered as equivalent to bachelor’s degree will be considered. For those undergoing (yet to complete) an integrated master’s degree or a dual degree directly after their 12th/HSC, the percentage of marks, similarly obtained, for the years/semesters completed till the date of application for CAT. IIMA endeavors to recognize exceptional performers in terms of their previous academic records as well as their performance in CAT across diverse academic backgrounds. Towards that, a certain number of top candidates from each of the academic disciplines will be shortlisted for AWT & PI on the basis of their composite score ‘CS’ (see below) subject to their fulfilling certain criteria. From each of the academic categories (AC) for which the total number of applicants to IIMA who appear for CAT-2018 from SC/ST/NC-OBC/PwD categories is at least 100, the top 5% in the respective AC limited to the respective categories (General/SC/ST/NC-OBC/PwD) among the applicants to IIMA who appear for CAT-2018, henceforth referred to as ACRC groups, (subject to upper limits on the numbers per ACRC group as specified in Table 5) will be shortlisted for AWT & PI on the basis of the composite score ‘CS’ (see below) subject to their fulfilling criteria C1-C3. C1. PVRC, PDILR, PQA and PT must not be lower than the minimum cut-offs as specified in Table 1.
average of the percentages of marks scored in 10th and 12th std. examinations. Any AC, for which the total number of applicants to IIMA who appear for CAT-2018 from SC/ST/NCOBC/PwD categories is less than 100, will not be subdivided into ACRCs as above. For such an AC, the top 100 or the top 5% in the respective AC among all the applicants to IIMA who appear for CAT-2018, whichever is less, will be shortlisted for AWT & PI on the basis of the composite score ‘CS’ (see above) subject to their fulfilling criteria C4-C6. Utmost care has been taken to classify all commonly known bachelor’s degrees to the academic categories AC-1 to AC-6. The applicants’ pool under AC-7 (others) is expected to be very small and very diverse. Therefore, it is not possible to meaningfully distinguish the exceptional performers in that category, and we shall refrain from doing the same. Stage 2 (Category-wise selection): After removing the candidates selected in Stage 1 from each category (General, NC-OBC, SC, ST and PWD) the additional number of candidates to be shortlisted for AWT & PI will be selected on the basis of the composite score ‘CS’ (see above) subject to their fulfilling criteria C1-C2. The selection at this stage will strictly be based on the shortlisting of the candidates done separately for each category (General/SC/ST/NC-OBC/PwD) on the basis of their ‘Final Composite Score’s (FCS). The numbers selected in different reservation categories will be in proportions mandated by law. The normalized PI and AWT scores of a candidate are their scores in the respective field divided by the average of the top 1% scores in the same field respectively. The following information is about the admission process followed by IIMA for its PGP subsequent to CAT. It is, therefore, important for the candidates to read them carefully. Performance in CAT is an important input in the admission process. Candidates should note that it is important to perform well in each section of the test. In addition to the performance in CAT, IIMA uses academic performance of the candidates throughout their academic career up to the bachelor’s level for shortlisting for AWT & PI. Please note that IIMA shortlists candidates for AWT & PI independent of the other IIMs. Hence it is possible to observe variations in the lists of the candidates shortlisted by different IIMs. Details of the candidates shortlisted will be made available on the IIMA website (www.iima.ac.in) tentatively by the second week of January 2019 after the CAT results are published. Shortlisted candidates would also be sent AWT & PI call letters by IIMA. No communication would be sent to applicants who are not shortlisted for AWT & PI. 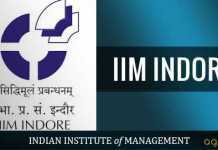 After the AWT & PI round, admission offers are made by IIMA to successful candidates. The final selection is based on a diverse set of attributes which includes performance in CAT, performance in AWT & PI, academic, co-curricular and extra-curricular achievements, work experience etc. Disclosure of information about the admission process is driven by concerns which at times conflict with each other. The IIMA would like the admission process to be transparent. At the same time, IIMA would wish to protect the privacy of the individual candidates and the confidentiality of the process to prevent abuse. Based on these considerations, the details of the performance of an individual is not made available to any other person. Similarly, the details of the performance of a candidate in AWT & PI, including assessment of attributes mentioned under paragraph 4 above, is not disclosed to anyone to prevent the exercise of undue pressure on the panelists participating in the admission/selection process. IIMA exercises its own discretion in disclosing weights assigned to diverse sets of attributes mentioned under paragraph 4 above. To ensure that the perceived lack of transparency does not in any way affect the candidates negatively, adequate care is taken in the formation of the interview panels, development of objective criteria for assessment, random allocation of candidates to interview panels and other such measures. Candidates, who appear in AWT & PI will be able to view whether they have been offered admission by IIMA tentatively during the second week of April 2019 by visiting the IIMA website. Admission offer letter would be sent to all successful candidates. Candidates, who are offered admission, need to confirm their acceptance by completing all the required formalities by the first/second week of May 2019. Some candidates may also be placed on the waiting list initially during the second week of April 2019. Offers to candidates on the waiting list would depend upon the number of successful candidates accepting the offer made by IIMA. In the event of specific guidelines being issued by Government of India, IIMA reserves the right to, depending on the nature of the guidelines, continue with its AWT&PI as stated above OR use an alternative selection procedure which may include calling for additional information from short-listed candidates, a supplementary test or any other suitable process/mechanism. Care will be taken to ensure that candidates are not put to undue inconvenience. integrated MTECH degrees (Excluding all degrees in Fashion Technology, and BS/BSC degrees in Information Technology). Also including degrees in dentistry, paramedical, veterinary degrees; all non-engineering/non-technical degrees in Geography, Mathematics, Statistics and related areas. Excluding any BE/BS(ENG)/BSC(ENG)/BTECH/MTECH degree. Information Technology. Excluding any BE/BS(ENG)/BSC(ENG)/ BTECH/MTECH degree. Any other discipline not mentioned in AC-1 to AC-6. Dual bachelor’s degree holders will be classified in one of the categories AC-1 to AC-6 based on their field(s) and subjects. Final discretion on the academic category that an academic programme will be classified into rests with the Admissions Committee of IIMA. For candidates having undergone/ completed an integrated master’s degree directly after their 12th/HSC, their classification into an academic category will be based on their academic discipline in the integrated master’s degree programme. For a candidate who has obtained further degrees after their bachelor’s degree or their integrated Master’s degree, other than those degrees listed in Annexure -1 under AC-2, the discipline(s) of the subsequent degrees will not be taken into consideration in deciding their classification in an academic category. Important information Please note that IIMA will conduct its Academic Writing Tests and Personal Interviews (AWT & PIs) in Ahmedabad, Bangalore, Hyderabad, Kolkata, Mumbai, and New Delhi/NCR cities. Candidates need to opt two cities for AWT & PI in the CAT application form. Candidates shortlisted for AWT & PI will be intimated by registered post tentatively by the second week of January 2019. The CAT takers applying to IIMA’s post-graduate programmes can also check out if they have been shortlisted for AWT & PI by visiting the IIMA website (www.iima.ac.in) tentatively in the second week of January 2019. No individual regret letters shall be sent to candidates not short-listed for AWT & PI. The total programme fees payable by PGP students of the 2018-2020 batch is Rs.22,00,000/-. Laptop computer, personal expenses onboarding, travel, clothes, and laundry are extra. The total programme fees for the 2019-2021 batch will be based on the fees for the 2018-2020 batch, adjusted for inflation.